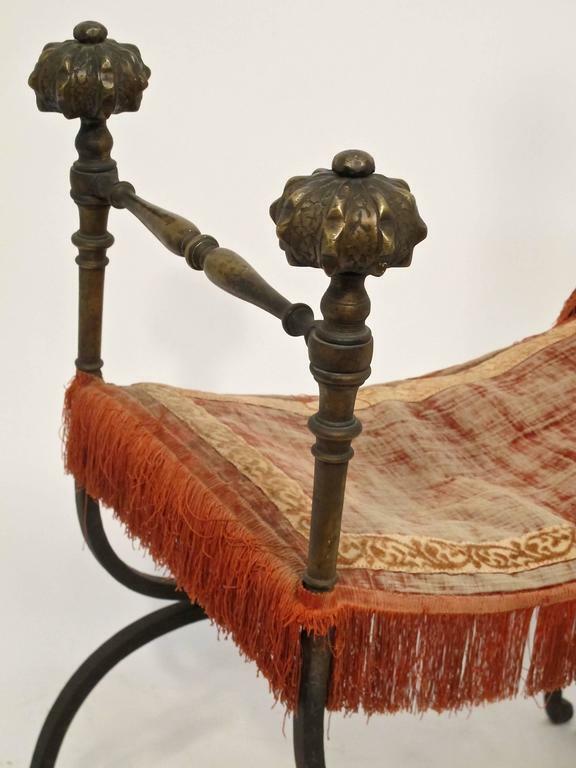 A 19th century savonarola style chair or bench, all hand wrought iron with four ornate bronze finials. Original unrestored condition. Original upholstery is faded and worn. 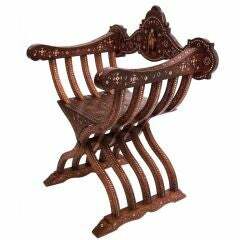 An elaborately inlaid Renaissance style Dante or X chair. Cavalier figure on the back is inlaid with bone and mixed woods. 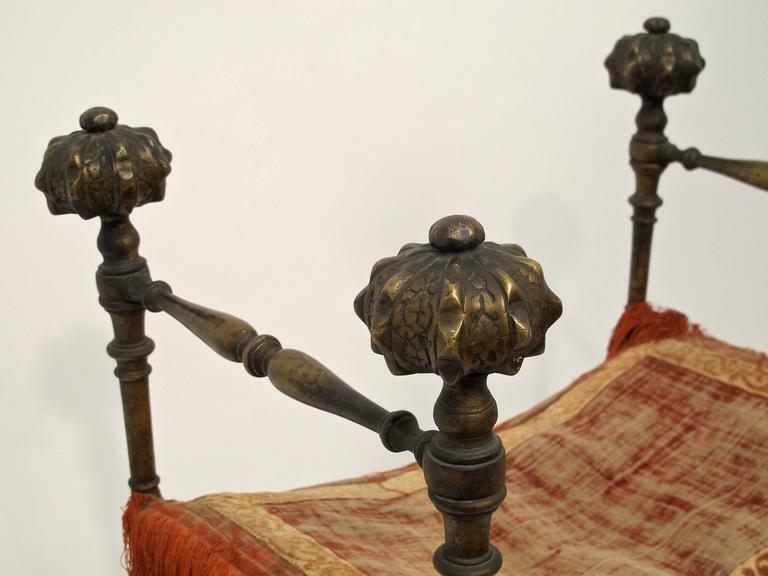 Great detail and good patina. Italian, Late 18th. Century. 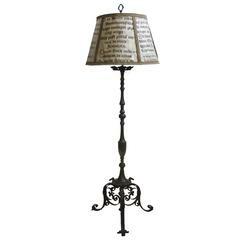 Impressive large-scale wrought iron and bronze floor lamp with custom shade made of beautifully hand written 17th century missal pages on vellum. 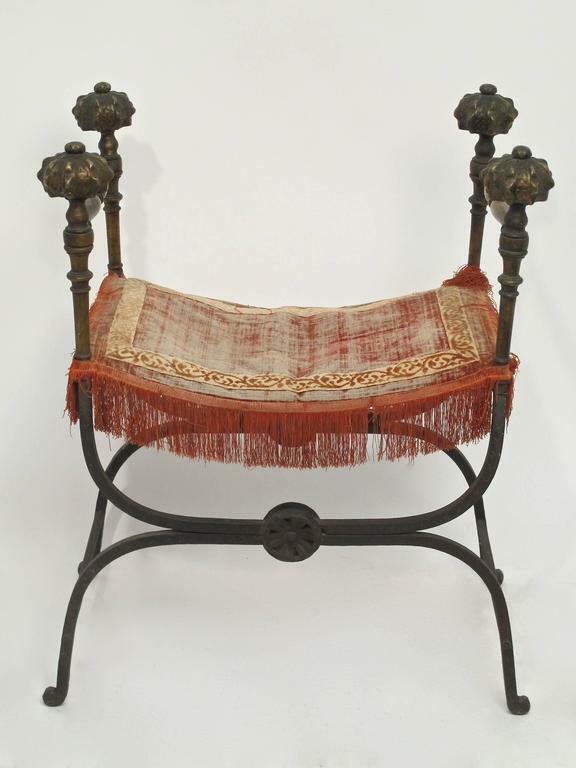 Italy, late 19th-early 20th century. Wonderful old iron garden bench. The bench has primer on it and is ready to be painted. 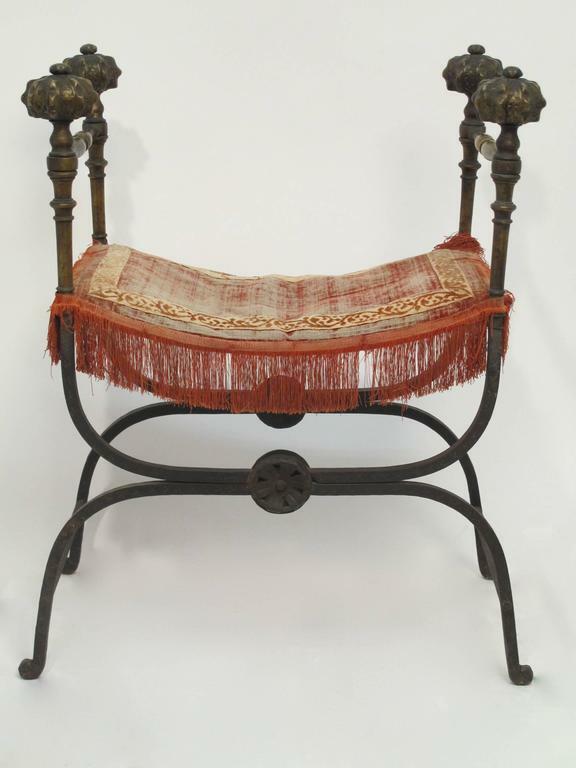 Will paint to clients specification if desired, American, 19th century. 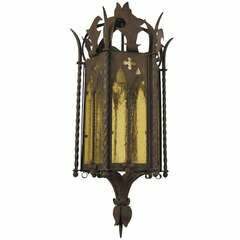 Spanish style iron and glass lantern. Lantern has 21 inches of chain. Newly re-wired, holds standard size light bulb. 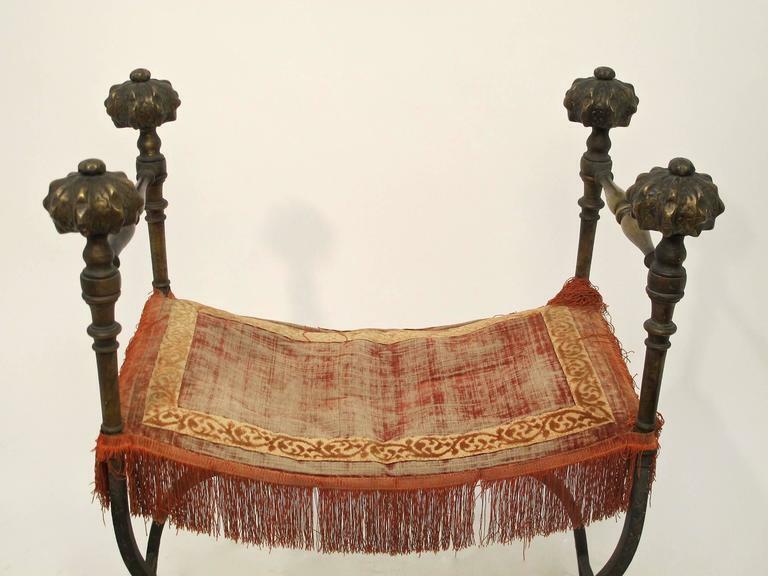 19th century large Savonarola Faldistorio style bench made of iron and brass in excellent used condition. 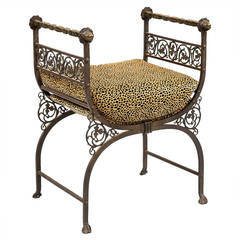 New black wrought iron Curule bench with cushion, Savonarola, Throne. 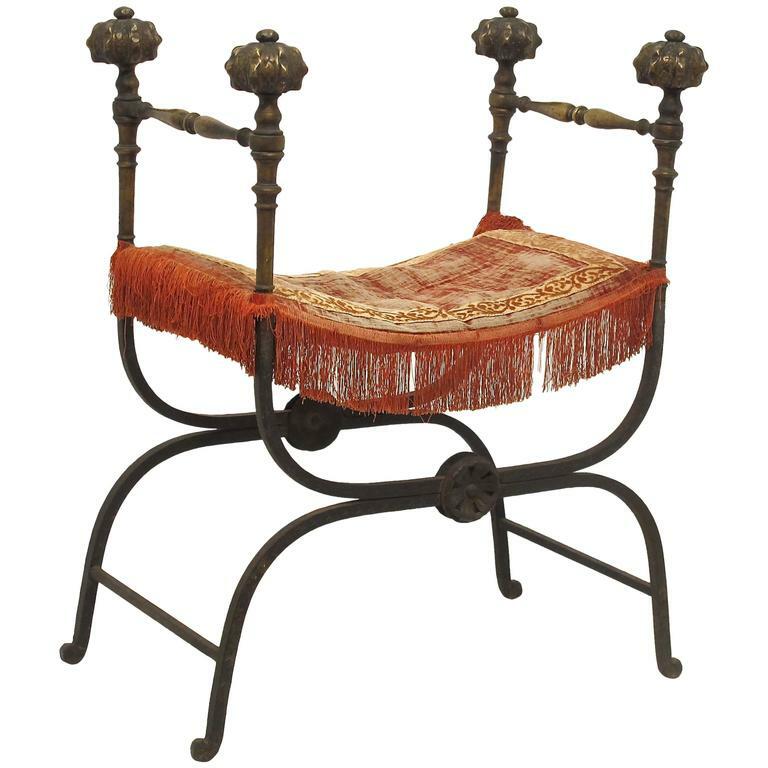 Antique iron and bronze curule long bench, with bronze mounted handles and each end raised on four scroll legs. The seat measures 61" W x 24" x 18.5" seat height.